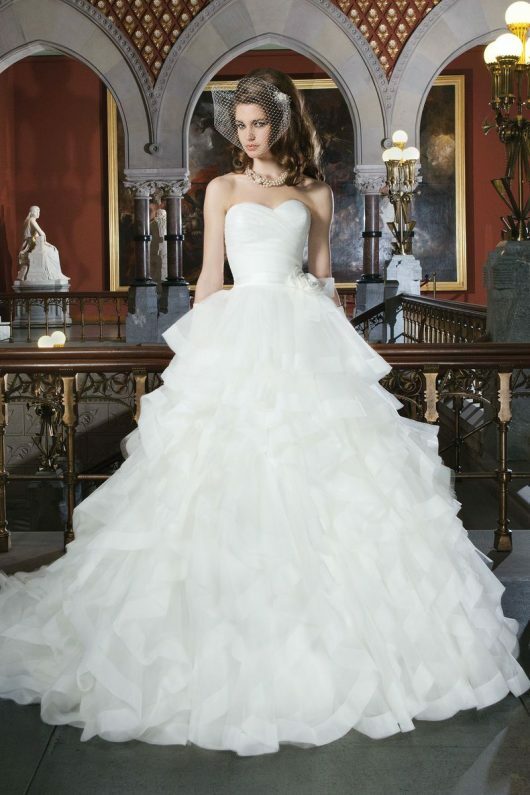 Tulle ball gown with sweetheart neckline and asymmetrical pleated bodice features a tiered tulle ruffle skirt with organza trim. This style includes a satin belt with a 3D flower that sits at the natural waist. Satin buttons cover the back zipper and style has a chapel length train.